With only one week away from my third trimester (where did the time go? 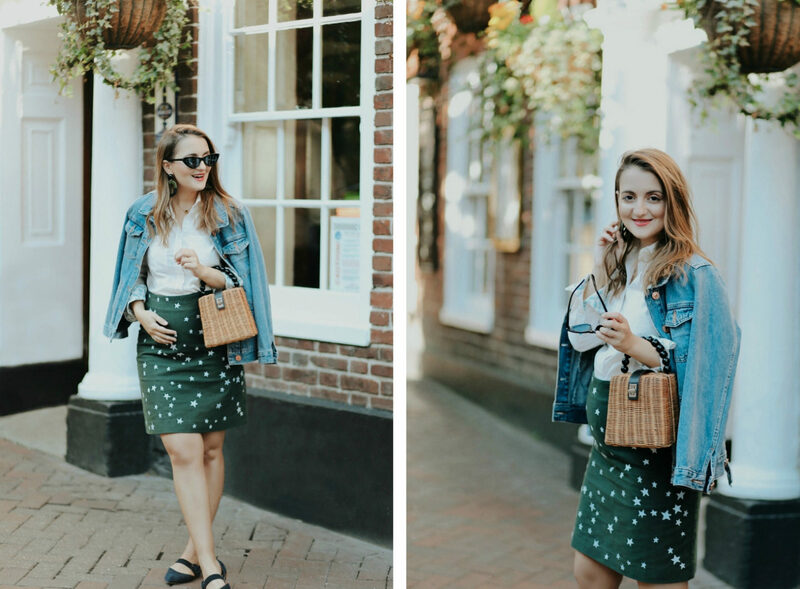 ), I decided to share with you 5 styling ideas that have seen me and my growing bump through the past 7 months, without investing in a whole new wardrobe. Size up! 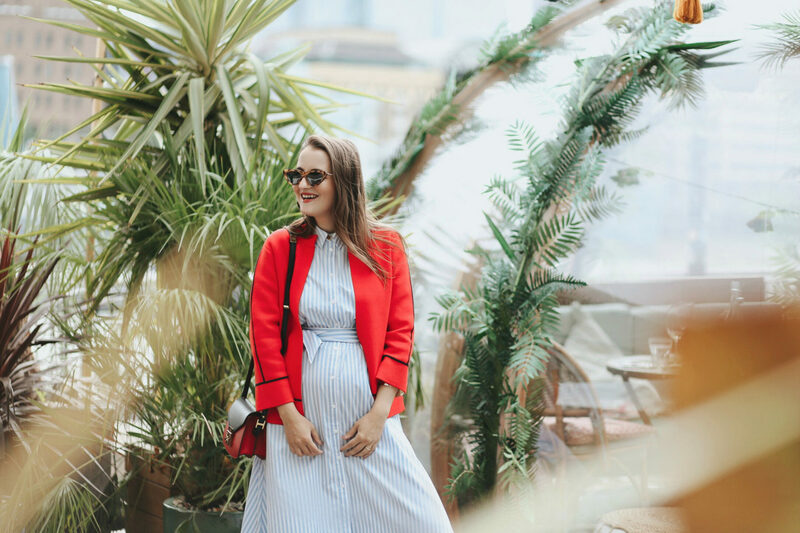 This is a no-brainer really, but if you are committed to buying most of your pregnancy wardrobe in non-maternity styles this is the easiest route. 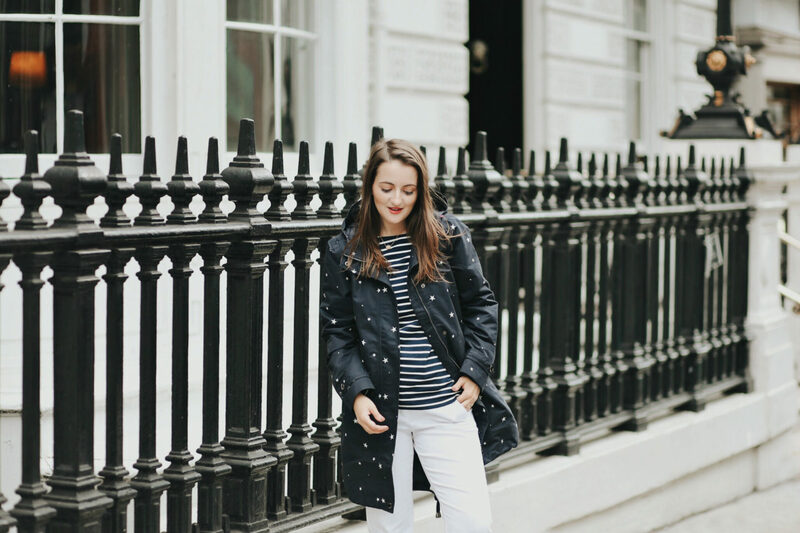 Because I’m carrying low, I had to invest in a few pairs of maternity jeans (Topshop is the winning ticket when it comes to maternity jeans, just have a look for yourself) because unlike regular denim these styles are softer on the waistline. Some women gain just in the belly, but many more discover that baby weight distributes all over. 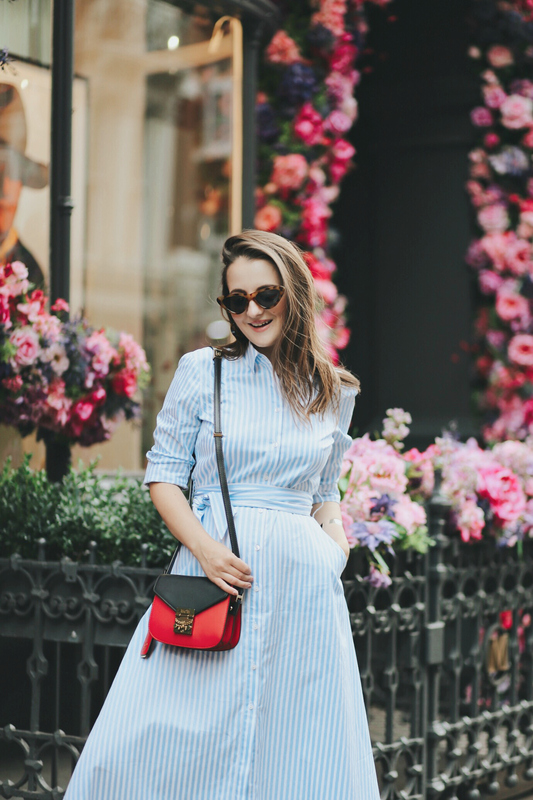 Soft fabrics and longer lines are a good way to help you look and feel like your usual self while still accentuating your precious little bump. Outfit 1 The figure-hugging pencil dress, Hobbs Christie Dress – this is one of the most useful (not to mention comfortable) items you can buy. The colour block design defines the waist, the pencil silhouette elongates, while the stretchy fabric lets your belly breathe. This piece will take you from conference room to cocktail hour, effortlessly. Invest now, wear forever! Outfit 2 The wear-everywhere shirt dress, Baukjen Marley Shirt Dress – all hail the shirt dress, with its incredibly feminine and flattering silhouette. 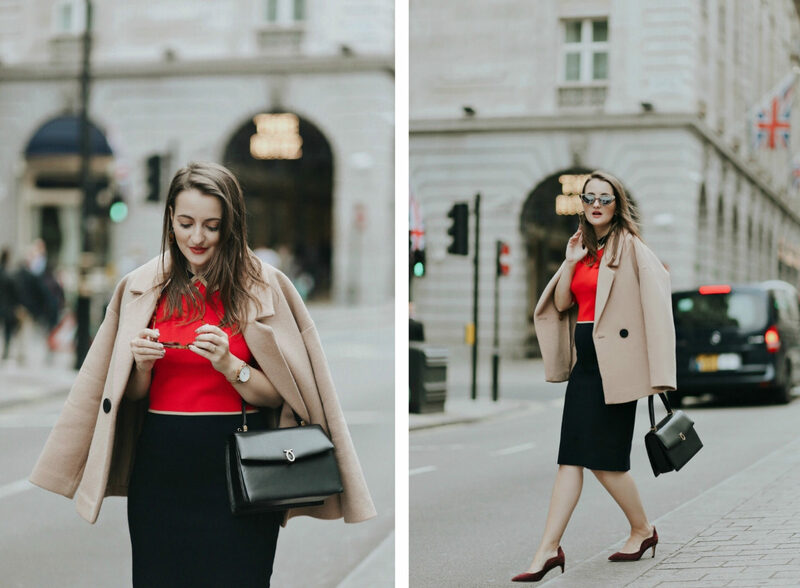 This is an easy, stylish way of putting together an outfit without having to think much about it. 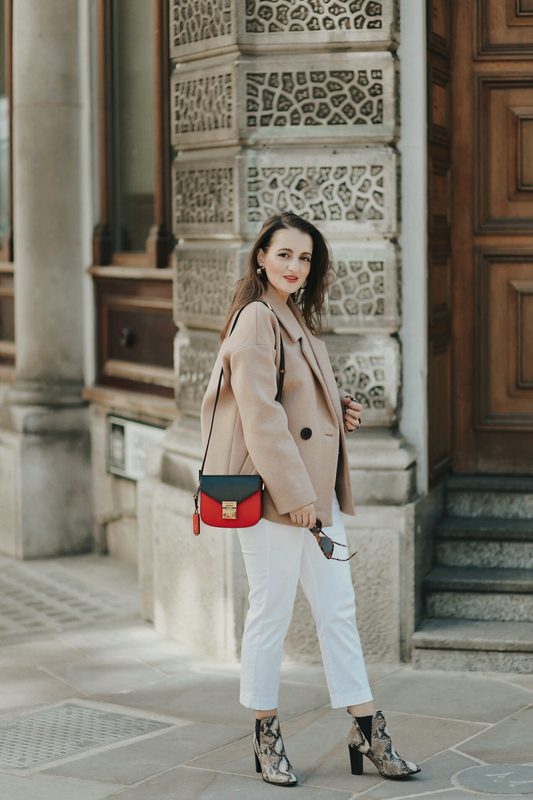 Wear it with everything from sandals to boots, layer over a polo neck or throw on a knitted jacket (mine is from Hobbs) for added autumn warmth. Outfit 3 The timeless cropped pea coat, Mint Velvet Camel Cropped Pea Coat – this is one of the most flattering shapes. The cropped silhouette emphasizes your cute baby bump and lets you move around freely. Outfit 4 The statement skirt, Boden Tilda Embroidered Skirt – anything without a waistband is your best friend. Although this piece may not last throughout your whole pregnancy (I’m wearing an 8UK and still fits me at almost 27 weeks pregnant), but is great for the first few months. 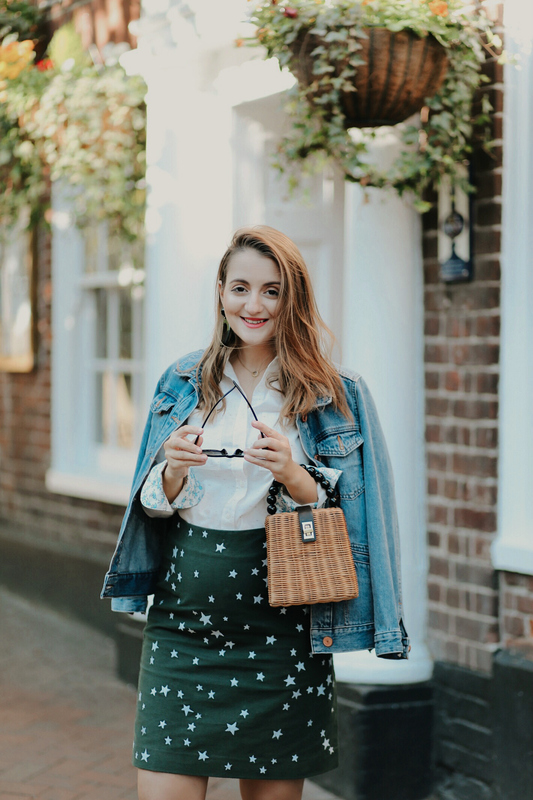 Wear it with a shirt – mine is from Beaufort & Blake, slide into some pointed flats, throw on a denim jacket, and you’re ready to run errands or grab lunch with your friends. 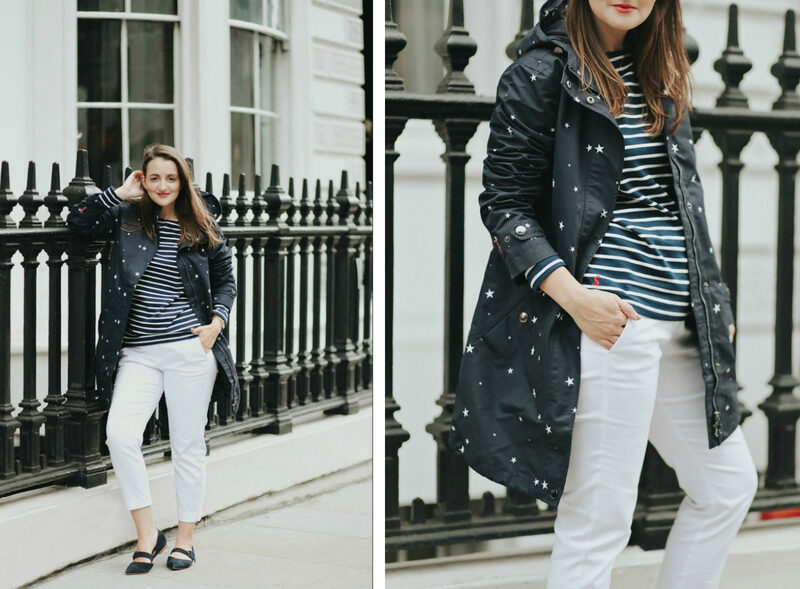 Outfit 5 Come rain or sunshine parka, Joules Rain Print Waterproof Parka – this piece is every pregnant woman’s best friend, giving maximum comfort as your precious bump continues to grow. Complete the casual-chic look with a striped top and flats. Remember! 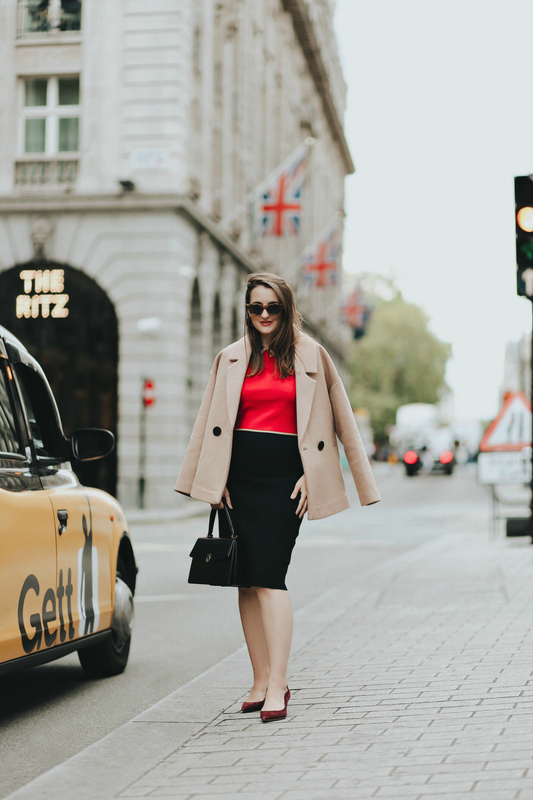 A growing bump doesn’t need to get in the way of dressing like you used to. Pregnancy is one of the most exciting times in a woman’s life, so embrace your new curves and have fun with your style! I’d love to know your favourite look, so please let me know in the comment section below.